Below you can find a selection of downloadable PDF resources covering chords, scales, jazzy chord progressions and links to useful books and applications. There are a number of common chord progressions that you will find in virtually every jazz standard. After learning and memorising these important progressions you will have a much clearer understanding of jazz harmony. This variation of the minor 251 starts with the II-11b5 chord. This is a rich sounding -7b5 chord and is useful for both solo piano and for comping. Rootless voicings sound more professional then root based voicings and they voice lead much more smoothly in the context of a 251 progression. The trick with learning minor the 251 progression is to visualize the starting position, if you can find that the rest of the progression will fall into place. This variation of the minor 251 uses a -11b5 as the 2 chord. You have multiple options for alterations over the V chord including #5#9 and b9#5. This PDF contains a minor 251 line transcribed from a Chet Baker recording. Transcribing from solos is the most effective way to learn to improvise. This download contains a number of common voicings for major, minor, dominant, suspended and diminished chords. Numeric formulas included for each chord. Rich an lush extended chords are one of the hallmarks of jazz piano. This lesson supplements contains a number of useful extended chord voicings. 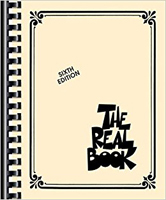 The New Real Book contains a more modern selection of tunes. 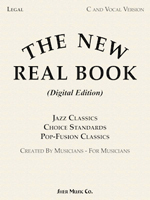 It features many of the classic jazz standards and also some newer fusion tunes. This book contains most of the tunes from PianoGroove’s jazz standard tutorials and we recommend that you buy yourself a copy. iReal Pro simulates a real-sounding band to accompany you as you practice. Instant download of 1300 jazz standard backing tracks. 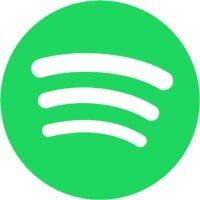 Spotify is a great resource for jazz records and albums. Regular listening and transcription is an important part of your learning journey. Transcribe is a useful program for transcribing lines and solos. The simple interface allows you to slow down the recording and A/B loop playback.